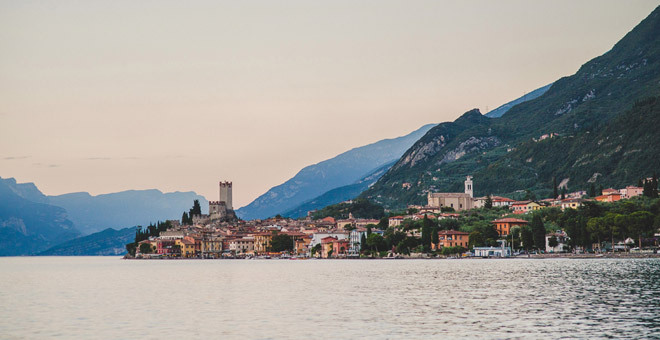 Loved for its stark contrasts, Malcesine is an ancient town with lush Mediterranean foliage and olive groves by the lakeside and an alpine landscape behind it. 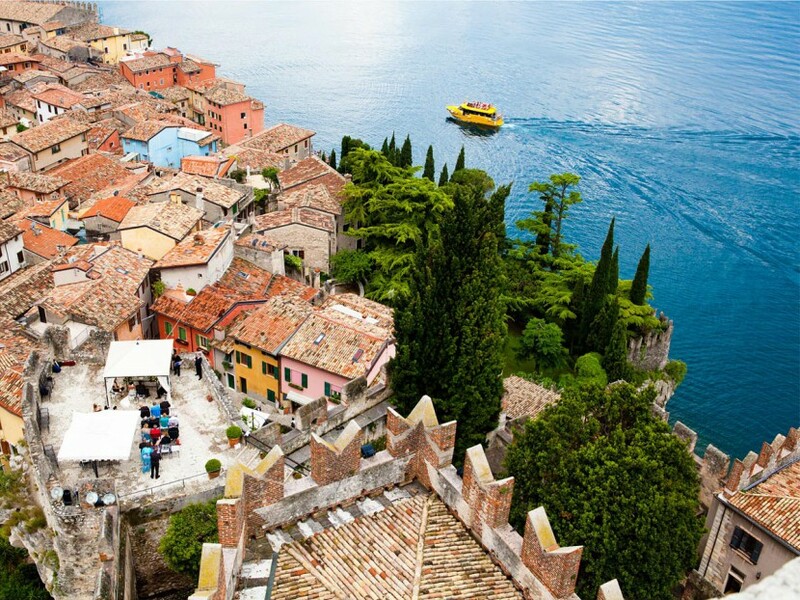 Originally a sleepy fishing village, it has evolved into a quaint resort with narrow cobbled streets and an elegant harbour area where artists can be found selling their paintings and crafts. 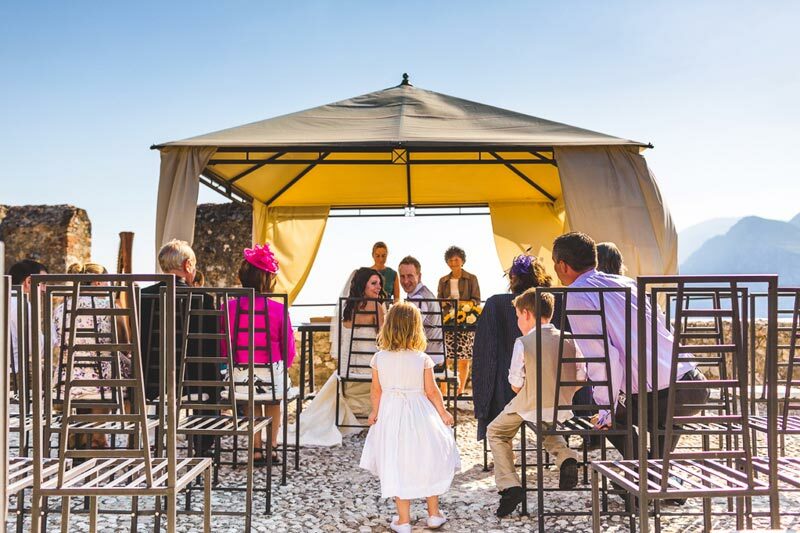 Weddings in this town are ideal as the area has much to offer guests. 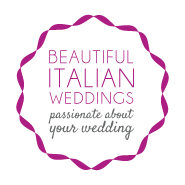 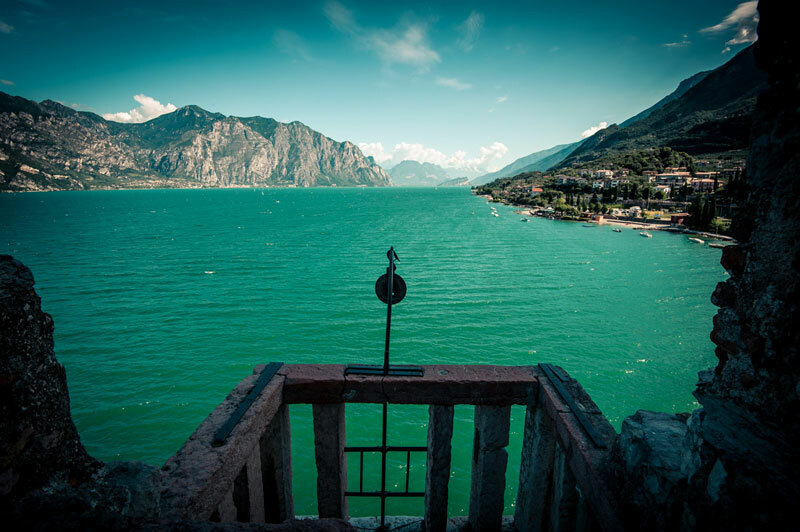 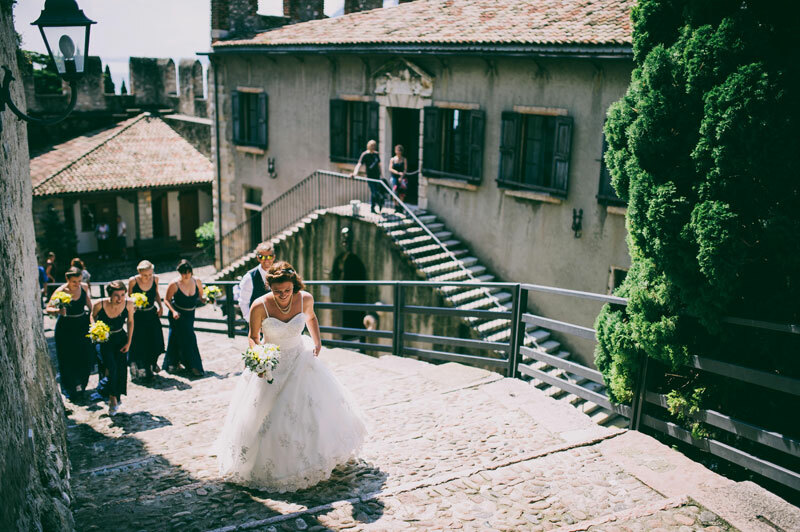 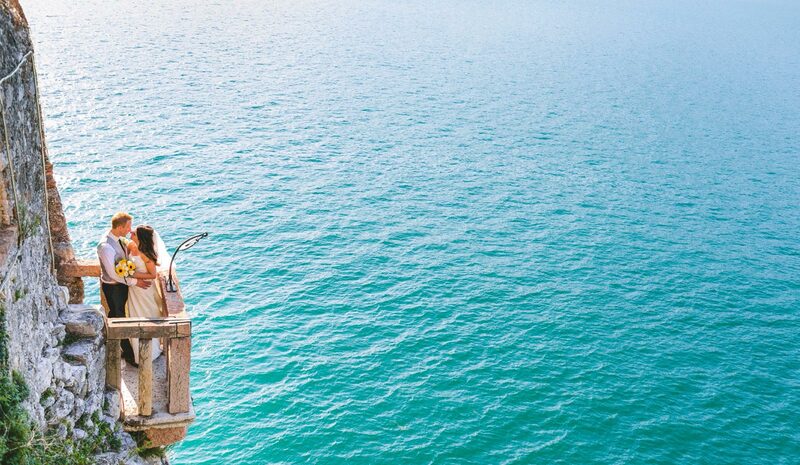 Civil weddings in Malcesine take place in its fairytale medieval Scaligeri castle that dominates the town, with splendid views over the entire lake, mountains and picturesque roofs of the town below. 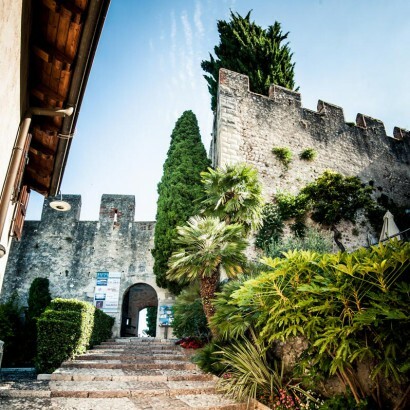 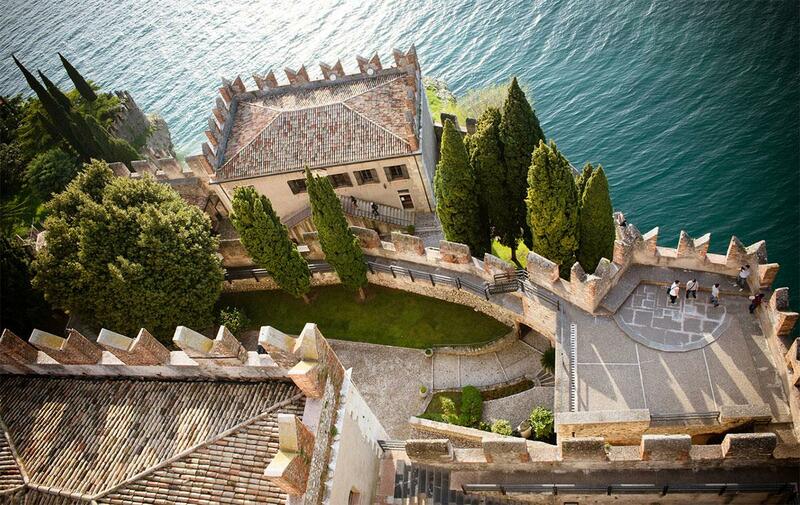 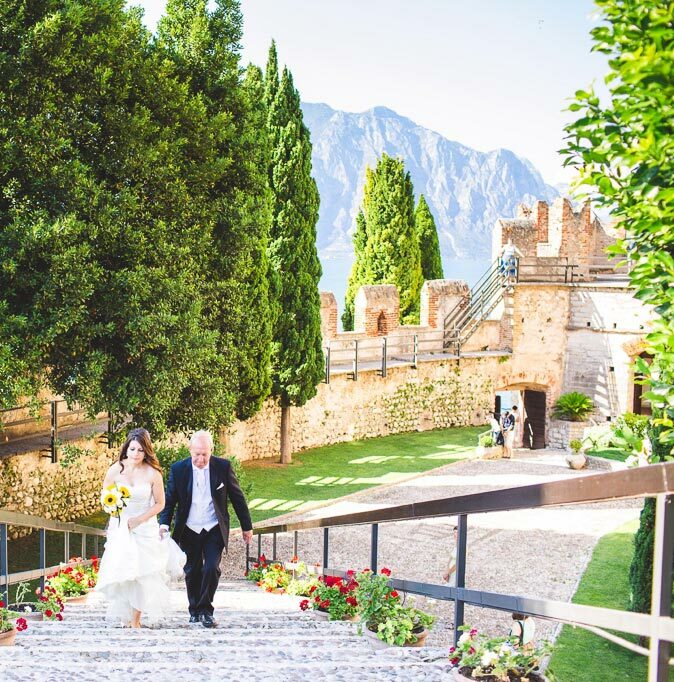 This is definitely the most popular location for weddings on Lake Garda, as the Castle is very old and very well preserved. 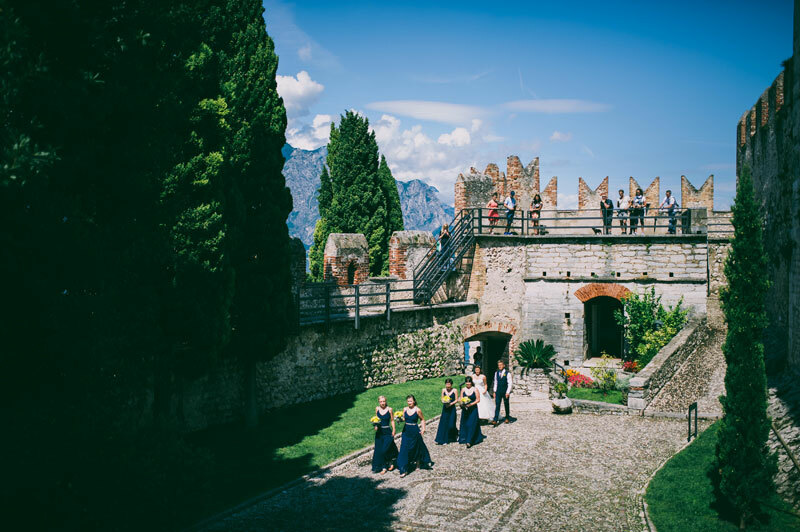 There are two ceremony rooms in the castle: one for indoor ceremonies, and a terrace on a tower with stunning lake views for outdoor ones. The atmosphere is pure medieval, everything has been made out of local white stone.